October 9, 2013: МetaТrader4 platform now available. 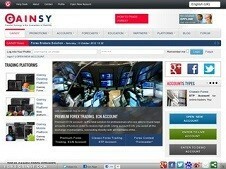 April 7, 2013: Add a listing for GAINSY Forex. I do cooperate with Gainsy. I have only a positive impression! All my funds are withdrew when I ask, spreads are stable and really very low. No cheatting, no scam, no some “shadow” problems. By me everything is OK. I see that it is excellent broker with a host of interesting bonuses, promotions, and special offers. I could recommend it, if you’d ask. Hi I write and in other forums , because I want to tell about this scam broker and if I can save other people lose their money. In short: I deposit money make profit and than I make withdraw but until now my money still stay in my account I wait from one week , but I,am sure that may be I never take it , because I have experience with scam brokers. It’s a great broker with great bonuses! I made a depo 10K and traded with 14500! I made 7000 of profit for one week! I didn’t knew about toolbar bonus. But after my next deposit I’ll made a ticket for it. https://www.gainsy.com is 100% fake broker.!! please dont deposit this broker, if you want to save your money……! After https://www.gainsy.com will be Disable ur Account and money…!!!! my https://www.gainsy.com (ID is – noman2ka, mt4-244578). they already Disable my account….!!!! Sorry for my English – I am a trader from Ukraine and I learned English at school and that’s all, so I am sorry once again. It’s so fun – “I can’t withdraw my profit”… Where are your hands? Or you control your mouse by something else? During last three monthes I withdrew my profit every two weeks! I’m making a deposit, getting the bonuses, trading and withdrawal all the money from my account. And again. And again. I started to trade with Gainsy in September or October of last year (2013). Before this I trade with two other brokers, but their spreads was too big, so I hadn’t a big profit with them. Everything else (Execution speed e.t.c.) had no differences with other brokers. A little from my experience: my trading experience is 6 years. In these six years I have changed several brokers. My system is familiar to many traders – I trade on the news. For such trade broker must fulfill a number of conditions, such as fast execution, stable spreads etc.. There are some «brokerz» that do not allow traders to trade during news events. Some of them simply block the opening of the deals, some of them banned my account on charges of fraud, so they lose their customers, including me. I started tradin with GAINSY in the beginning of 2013, and still trading with them. During this year the spread has remained relatively narrow (I’m talkin’bout EURUSD and GBPUSD pairs), and the orders were executed pretty quickly. 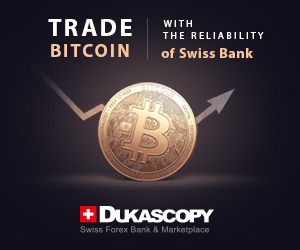 In addition, I deposit and withdraw money through many different payment systems coz I often visit different countries and this is a great opportunity to trade from anywhere in the world (when I traded with IBFX I used only bank wire transfers). And I am waiting for withdrawal in about 2 days after the request for withdrawal, except those cases when predictions do not come true and I’m loosin’ my money – then it’s nothin to withdraw :-(. Wish you 2 have much profit! I have no problems with withdrawal. I have started to trade with Gainsy two weeks ago and I already withdrew my first profit. There are good bonus programs that helped me to earn more money. So as for me it is a good broker. I made Profits when i did withdraw my profits amount they disabled my account and refund my deposit amount… not withdrawing my profits….